While the collapse of tower cranes is rare, accidents and near misses do occur. Generally these result from events, either singly or in combination, which are not anticipated, events or actions that cause unexpected loads, or from errors during the design, erection, use or dismantling. 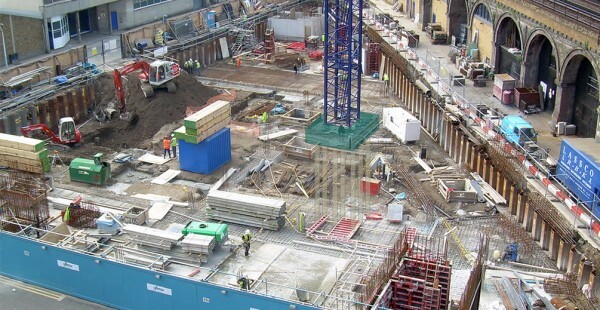 Failures of any part of the crane or load carrying system are likely to cause serious accidents, however the failure of the foundation or the connection of the crane to the foundation are potentially catastrophic. 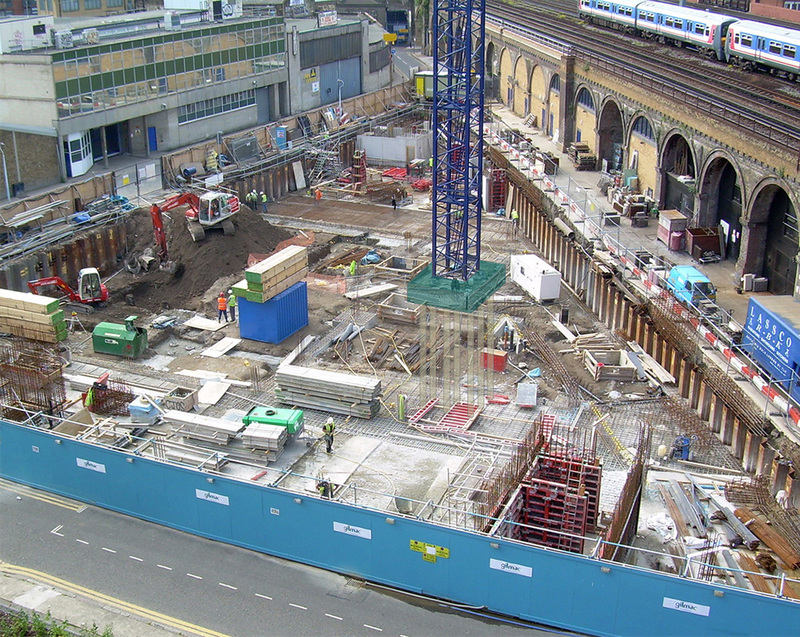 PaSCoE were commissioned to design a number of piled reinforced concrete bases in London to assist with the redevelopment of the Rope Walk area. The design is somewhat complicated by in-service and dynamic loads acting in combination through a full 360°. The out-of-service loads may also be critical to the design, especially if the jib is not left in free-slew. Consequently the tower crane foundation is required to carry complex and varying vertical and horizontal loads. The pile design therefore needed to consider compression and tension in each pile as well as lateral and bending moments in any plane. The proximity of existing infrastructure and in particular the existing viaduct at Rope Walk meant the design was subject to independent approvals and checking.